Lately I can’t stop thinking about France. “Why don’t we buy a house there?” I say to my partner. “Because we’re not rich,” he replies, which is a fair point. But I’ve fallen for the cliché of French village life that has lured so many into thinking it’s Heaven on earth. Except last year we stood in the middle of a small French town in the Auvergne with a bitter wind whistling along its narrow streets and cast our eyes over its closed-up shops and houses. “Imagine living here,” we whispered, without needing to elaborate on what a lonely prospect it might be. As so often seems the case, it appeared that France had closed down completely. Where was everybody? When you live in Australia, or at least when you don’t live in the centre of its cities, you rather look forward to visiting places that bustle with life. We have enough empty spaces of our own, thanks. Why I am obsessing over France rather than any other place is initially difficult to understand. I feel energised by Spain and Italy whereas in France I feel inclined to give a Gallic shrug: bof! And yet it was always France that I was saddest to leave when I was a child returning to Britain from a summer holiday on the Continent. I first visited France when I was four. We stayed in a house in Brittany rented from the family of a work colleague of my father’s. They had decamped to the basement, a dark place with a beaten earth floor and beams strung with onions and garlic as though a set dresser had got carried away with a rustic theme. To me it seemed like the home of a gnome family in a Grimm’s Fairy Tale and I stuck close to my parents whenever we had to knock on their door. We ate crepes, which were a cheap way of filling rumbling stomachs, and each morning my sister and I would walk up to the corner shop to buy ‘”du lait et du pain, s’il vous plait”. This is the first time I realised having the ability to communicate in another language might be useful. This rustic view of France was replaced when I was ten and we drove to Italy for our summer holiday, a trip that took us along the French Riviera. My mother had made covers using towelling to stop the sun from making the plastic car seats too hot. Off-cuts were used to curtain the side windows and this allowed me the pleasure of imagining other cars spying us and thinking: goodness, a car with curtains! They must be very rich! Although the effect was spoiled by the car itself being a bog-standard Hillman. When we caught our first view of the Mediterranean, we contemplated it warily. 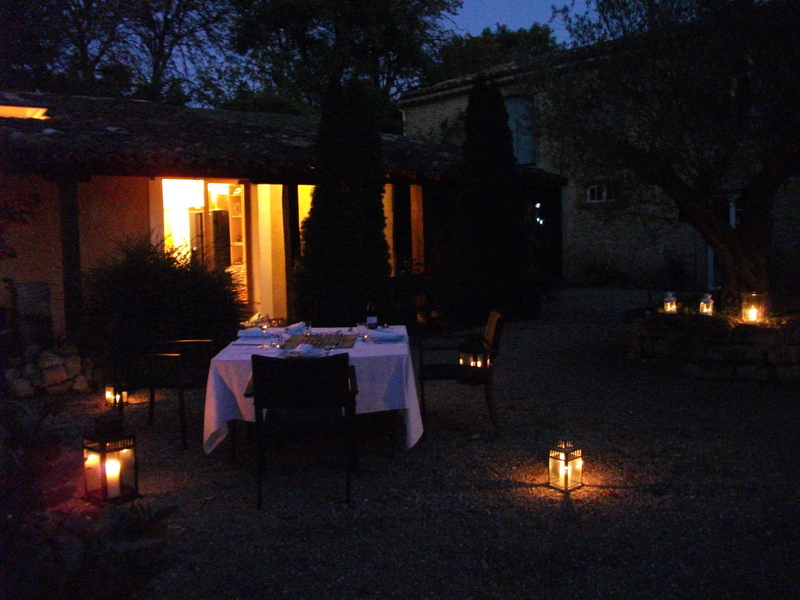 It glittered below us past a dry landscape punctuated by wispy cypress trees and the baked orange roofs of Provence. I thought it was Utopia. Swinging down into Nice, my father said, “This is the millionaire’s playground.” I could hardly believe my ears at such an amazing concept. Would it look like an ordinary playground except for a profusion of gold? My mind was in overdrive. As we drove towards the harbour I asked, “Is this the millionaire’s playground?” feeling the surface of the car window against my eyeballs. Would these millionaires ask us to play with them? The harbour held a collection of vessels that looked like large versions of the cabin cruisers you saw on English rivers. “The playthings of the rich,” said my father. This didn’t seem right to me. They were just boats. No bunting and flags to speak of, and ordinary old people sitting on the decks. There wasn’t even any netting to fence them off. And what was the point of that, if ordinary people could walk right up to you? Deflated, I was still pondering the meaning of all this when we crossed into Italy. By the time I went back to France again I was a teenager. We rented a flat in a quiet village in the Dordogne with a market that exploded into action twice a week. The British pound was doing so badly that window shopping was a kind of French taunt. We visited bastide towns and ancient chateaux and lounged next to vineyards eating picnics of tomatoes and pate, but it was hardly exciting. That came with the occasional visit to a restaurant. There were two in our village. One was owned by an English couple who had tricked it up in dubious medieval style whilst the other had oilcloth covers on the tables and faded pictures on the walls and seemed more authentically French. The food followed the same pattern as many places – pate to start then duck with a crinkly salad dressed in oil and vinegar, and a crème caramel to finish – but it felt like haut cuisine to me. More importantly, the waiter was handsome with dark hair and liquid eyes. He may well have been thinking, ‘Mon Dieu, look at that poor boy trailing around with his parents’ but it was love at first sight for me. I sat unable to lift my eyes from the tablecloth throughout the meal. When we left I was certain he flashed me a secret smile. I’ve been back to France many times since but these childhood memories remain strong. Travel teaches us so much. Foreign countries become the setting for so many different experiences and events that shape us. For me, France is a place that jolts memories of who I was and how I developed. In other words, I love the fact that France is all about me.